The mission of the Music Learning Foundation is to promote music education and the love of music to all students in the Dallas/Ft. Worth Metroplex. Through the learning of a musical instrument, the student will develop cognitive skills, communication skills, group dynamics, and a strong personal appreciation for the hard work and dedication that goes into perfecting musical performance. It is our belief and experience that such an education is a right and not a privilege; something that should not be sacrificed. Band Camp is a great opportunity for young musicians to spend a week practicing and learning new music, participating in specialized master classes on each instrument, and studying basic and advanced music theory and history. Students can even learn a second instrument! Travel to an exciting destination to perform a concert & enjoy spring break with your band members, directors, parents, and friends. 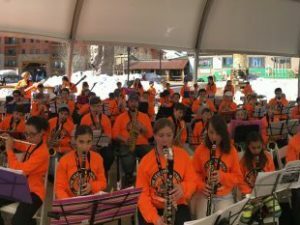 The 2019 Spring Concert Tour featured 3 full days of skiing/snowboarding in Crested Butte, Colorado with the option to ski for a 4th day, as well as performances at the base of the mountain and our 4-Star Ski-in / Ski-out Lodge. The Spring 2020 Concert Tour Destination will be announced in October, 2019. The video below is from a previous year’s Concert Tour. An Optional way for your child to earn tickets and/or funds for upcoming band events. Many parents and students have been very excited about our Spring Concert Tour & Ski Trip to Crested Butte, Colorado. Many of you have also inquired about fundraising opportunities to help defray all or a portion of the enrollment fees related with the Concert Tour and Summer Band Camp. 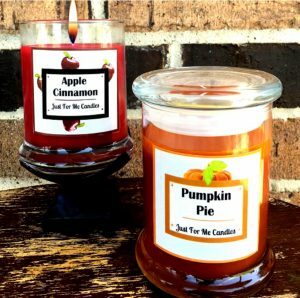 Once again, we are excited to offer you a simple, easy, and profitable optional fundraiser that will net you 50% profit to help pay for these events. Your fundraising money will go directly for your child’s Spring Band Tour Tuition, Summer Camp Tuition, Dallas Stars Performance in March, or Six Flags Performance in May.